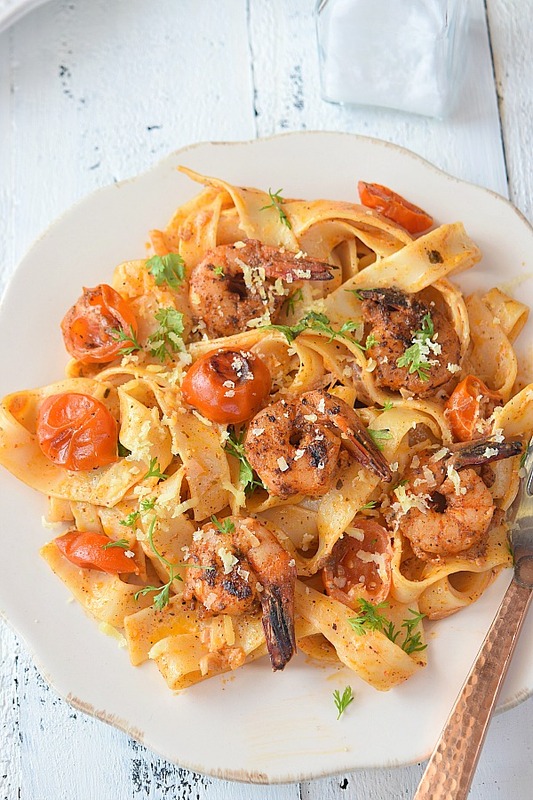 Spicy n Delicious,easy to put together,Cajun Shrimp Pasta! 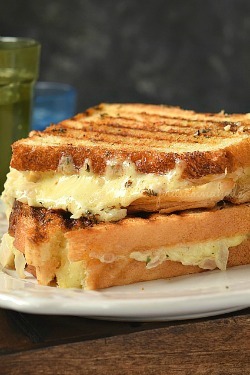 Great recipe to please everyone and easy to fix under 30 mins,quick dinner or lunch fix! 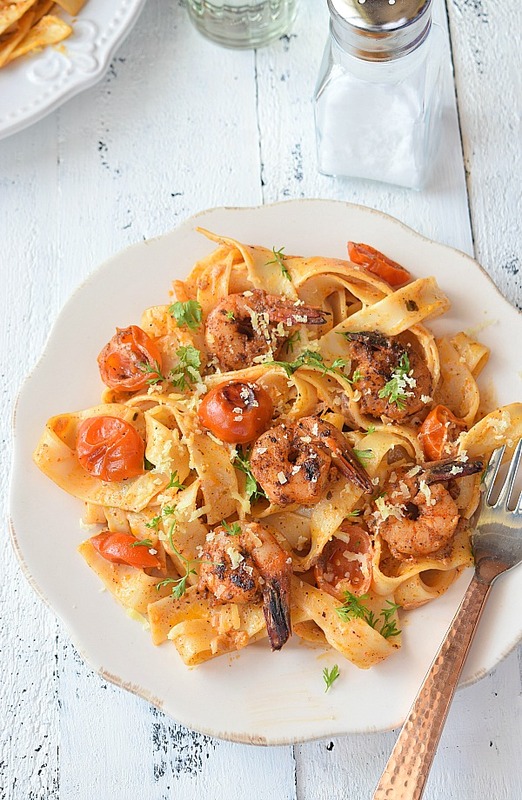 Another recipe to fix the lunch or dinner in no-time,with spicy delicious Cajun Shrimp Pasta! 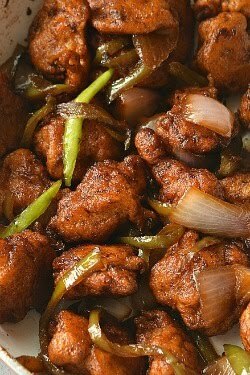 Easy recipe to put together, to fix lunch and dinner in under just 30 mins. 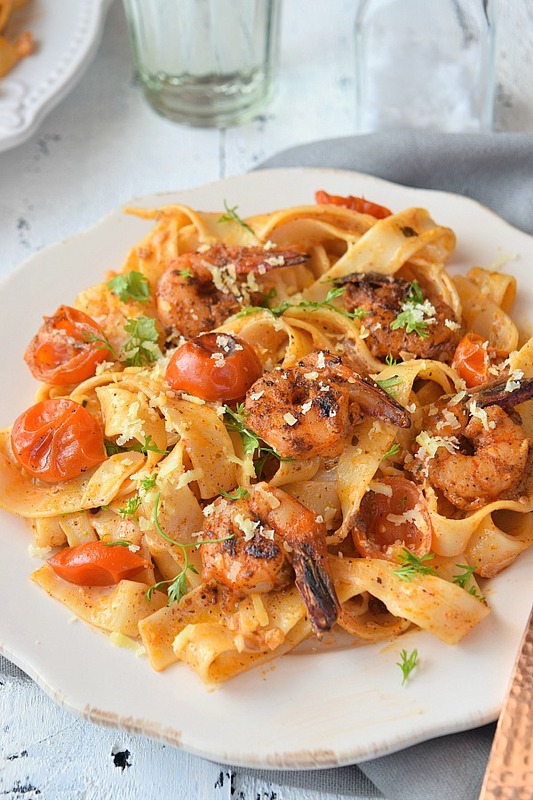 I was looking to fix easy lunch and had lots of shrimp in the freezer, first I thought of making some Shrimp Curry to go with steamed rice but then again I thought that it wont be easy fix to hunger.So used pasta and Cajun seasoning to make some spicy good shrimp pasta. It was so good that we could wipe the plates clean in no time. 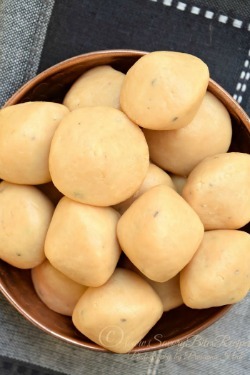 This was a hit with my kid too, all you need to do adjust the spice level a bit for kids to tolerate it. Add whatever you like to make the pasta delicious- say chicken,crabs,squid and even mushroom.It will work equally well. 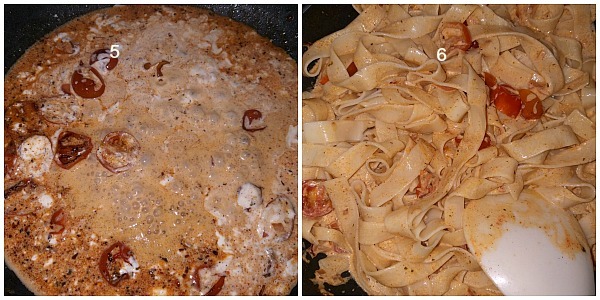 Recently I had shared my favorite Olive Garden Copycat Fettuccine Alfredo recipe.Check that too. 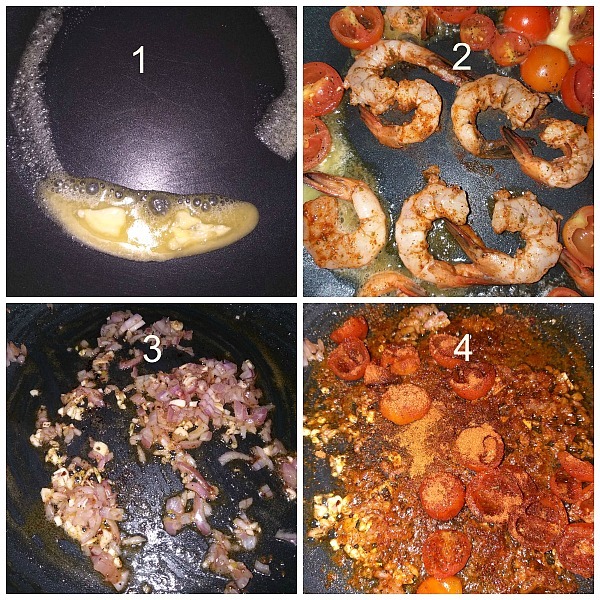 Melt some butter in a pan, and cook shrimp and cherry tomatoes tossed in some salt,Cajun seasoning and black pepper powder,by turning sides till done. Keep that aside. Next add little butter and add garlic and onion chopped.Cook till soft then add spices mentioned in the recipe and saute. Add the tomatoes and shrimp. Add the wet ingredients mentioned in the recipe,let the sauce simmer for a while,then add the cooked pasta. 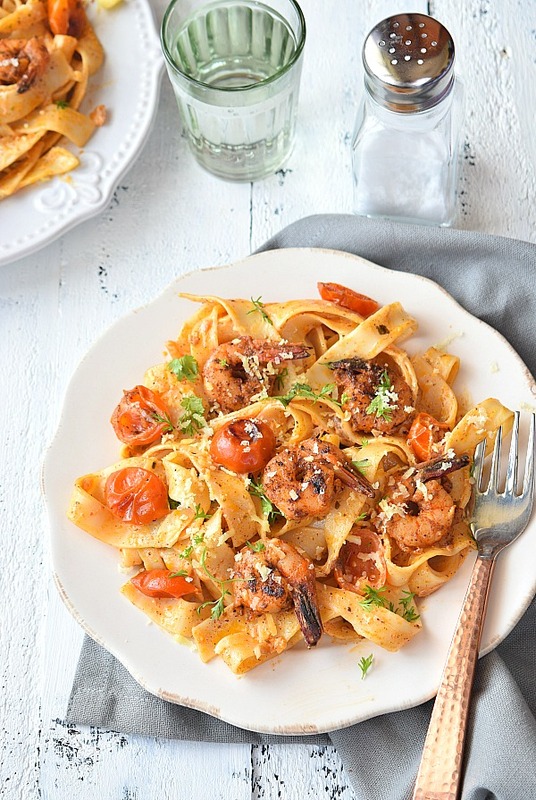 Spicy ,delicious recipe to fix quick lunch or dinner with this Cajun Shrimp Pasta! 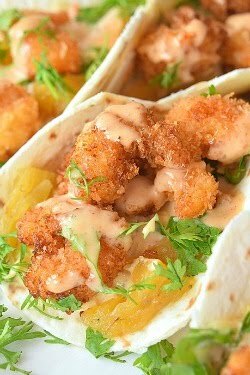 Toss the shrimp and tomato halves,with little salt,1 tsp black pepper powder,2 tsp Cajun seasoning. In a pan,add 1 Tbsp Butter and let it melt. Add all the shrimp and tomatoes and let them cook till done. Cook the pasta as per package instructions and keep it aside. In the pan,add 2 Tbsp Butter and add garlic and onion. Toss well till soft,add the spices mentioned(2 tsp Cajun Seasoning,1/2 tsp Black Pepper Powder,parsley,cayenne pepper,). 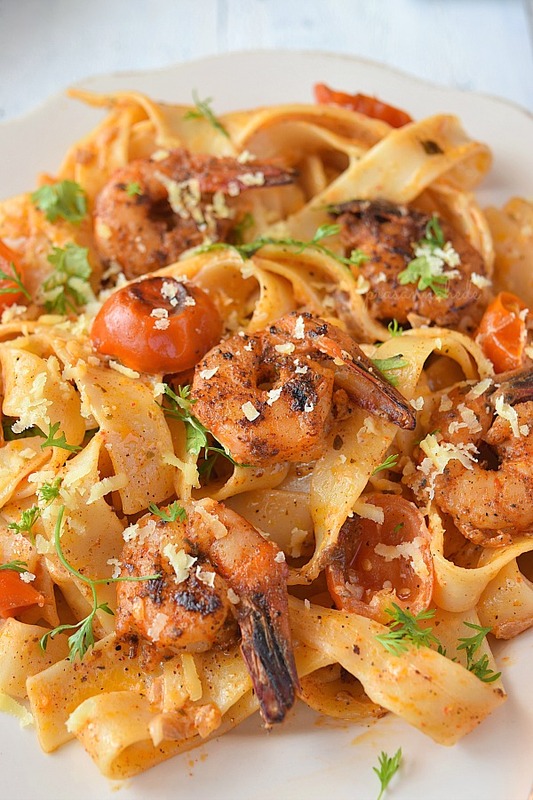 Add the shrimp and tomatoes,toss further. Add the cheese,stock and cream. Let it simmer for a while. Toss well and serve immediately while hot.